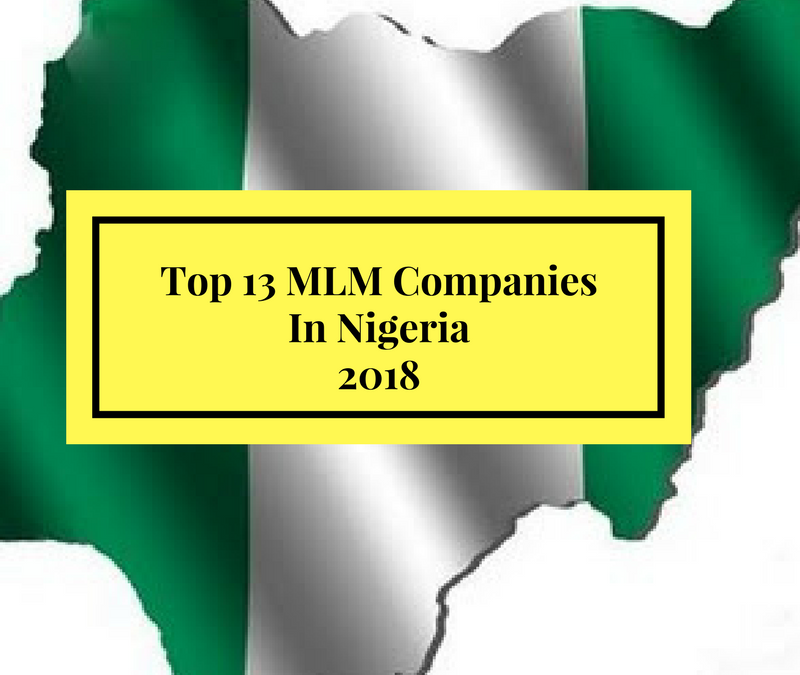 In today’s post, I am going to be listing the 13 top MLM companies in Nigeria 2018. These are SOLID companies that ANYONE can partner with and make residual income with IF they are serious. There are a lot of schemes and so-called opportunities out there which are nothing more than Ponzi Schemes in disguise. And these schemes and scams are penetrating the Nigerian market, and there’s cause for concern! A legitimate Network Marketing Opportunity will have a tangible product attached to it, which can be sold in the marketplace without the MLM side or not. Please NOTE That this list is IN NO ORDER OF RANKING. I AM JUST LISTING OUT SOLID COMPANIES ONE CAN BUILD WITHIN NIGERIA. If the company has a physical office and presence in Nigeria. PS: I am always looking to work with new leaders. If you are a no-excuses person and you’d like to work with me directly Click here to apply! This is a solid company which has been around for years, with a variety of solid wellness products. The opportunity is a good one to join, only if some of their reps change the way they promote the opportunity. Tasly is a global MLM giant with a wide range of wellness products spanning personal care and health and wellness. This Chinese MLM company has branches all over the world, especially in Nigeria. Their range of wellness products are good quality, and the opportunity is a great one to join as well. A Malaysian MLM, Edmark has spread all over the world, especially in Nigeria. Their products are in health and wellness, centered around energy drinks, weight loss, etc. Is a US-based MLM giant with one staple product: healthy coffee. Their coffee comprises Ganoderma, a herb from Asia. They offer an awesome compensation plan and great training for anyone wanting to build a serious business with them. This is a 100 percent Nigerian MLM company headed by Adeolu Akinyemi. A2W offers loads of personal development and training to grow you and your business. The company was founded in 2009 with a team of over 40 years MLM experience. Their health and wellness products are seed-based, and they also boast a great compensation plan. Uno premier is an MLM company from the Philippines. Their products span beauty and hygiene, health and wellness, household products and many others. Founded in 2006, this Philippines based company engages in marketing of supplements, beauty products, and powdered beverages. You can read my royale business club MLM review here. AIM Global is the biggest MLM giant out of the Philippines with branches ALL over the world. The company and products are a hit in African countries, especially in Nigeria. 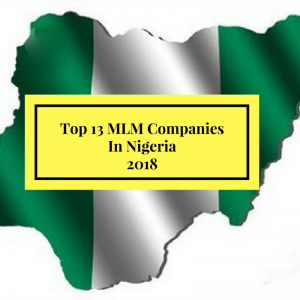 This is indeed one of the top MLM companies in Nigeria 2018. This Swedish cosmetic giant is one of the oldest MLM companies in the world, founded in 1967. If you love makeup and beauty products, then you should definitely consider Oriflame. Their leaders provide lots of digital marketing training for reps to grow their business. Read my Oriflame Nigeria MLM review here. Founded in 1978. Forever living has become a household name with their range of aloe products from weight loss to skin care, etc. Forever living has been in Nigeria since the year 2000 and has produced powerful leaders in the Nigerian MLM space. Founded in 2011 by Mark and Holli Stevens from the USA, TREVO is fast expanding globally, with offices all over Nigeria and in Africa. TREVO has one unique health and wellness product, TREVO, which is a blend of 174 natural ingredients in one bottle. With TREVO, you have the opportunity to build a global business from your home, and the support and training the company provides truly second to none. To learn more about TREVO, click here. Nigeria is an MLM haven. Many MLM companies expanding into Africa hit Nigeria as their first port of call. So what’s your opinion on this list? You can leave your opinion in the comments below! PS: I am always looking to work with new leaders. If you are a no-excuses person and you’d like to work with me directly Click here to apply! Compliments of the season…thanks for listening…I was just thinking along the line of a new mlm company that is into service like payment of phcn, cable subscription and even airtime and data recharge card….what do you think about the company….Recharge and Get Paid? Heard a bit about them. I’d make my findings and maybe put up a review. Thanks for the comment! I’d update soon. Thanks for commenting. Thanks for the well job done. I attended one seminal yesterday Sunday me and my wife “the seminal called Abassador Finance Freedom” but my surprise is not listed here . After the seminal,we are told to attend another one on Monday in Ketu at glass house and to confirm as a member with registration of N16000 as bonancer of the year 2019. Sir, my question is does it real? Not heard much about them. Do your due diligence and be careful. I haven’t heard about moneymaker. I would advise you find a reliable solid MLM program with physical products and run with that. All the best. Great work sir may God strengthen you, please sir can I invest with Trevor as one the MLM campany? 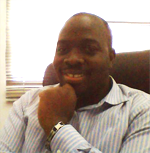 Great work sir, pls I’m building the neolife business….will like to grow my team. Pls u got any ideas or links for me? Go through my blog. I have over 3 years of tips and content you can use. This is good information and helps Nigerians do their due diligence. PURE is new in Nigeria and the only supplement in the US which has their products in the PDR. This company will make this list soon it is successful in 8other countries. Thanks for your contribution. Will do my findings. Thank you sir, we Appreciate oo. Sir, I want to register with KEDI HEALTH CARE INT’L can I go ahead?